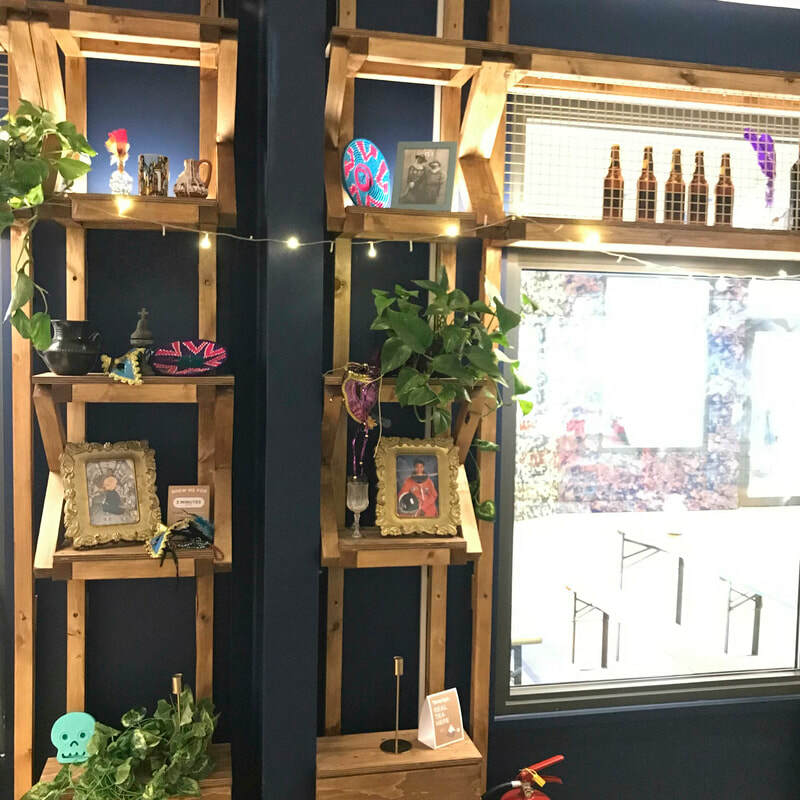 ​We worked with Something and Sons' architectural team to design and build the fit out of the cafe-bar at the centre of Peckham's newest hotspot for Afro hair and beauty. The Peckham Palms project brings together a group of local businesses into a newly built luxury designer arcade. Through on-site meetings and an iterative design and construction process we were able to develop the detailing, materiality and structure of the fit out, which included a a full height bar unit, kitchen facilities, storage, display and seating. 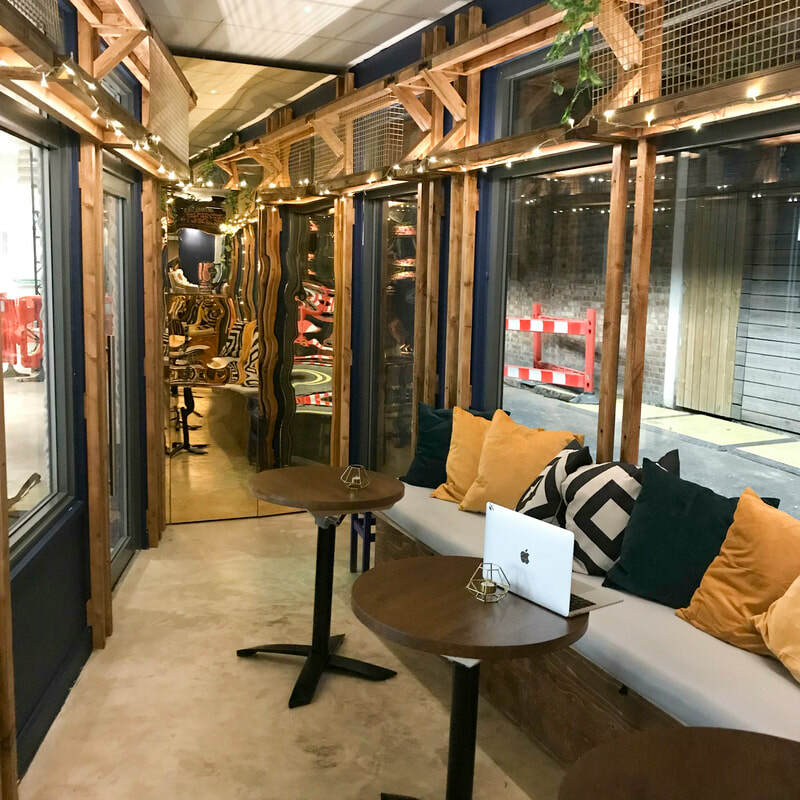 A key aspect of the project was enabling the new cafe operator to fully stamp their own styling to a very standardly built new interior shell unit. The scheme includes an extensive timber framework constructed from 2x2" softwood sections that lines the space and forms the structure for the kitchen and bar and display shelving that line the bar' at high level. Spruce plywood chest seating and low level cupboards sit within the vertical elements of the framework, while rose gold mirror faces the bar and the large storage cupboard either end of the narrow space, helping to accentuate the rhythm and enlarge the feeling of space. The bar top is in a deep blue high pressure laminate on birch plywood, matching the richly colouring of the walls.